Depending on where you live, a patio might not be the kind of thing you think about during the cold, and maybe snowy, winter months. But a patio is what many people enjoy on a sunny warm afternoon. It just feels good to sit outside and sip some iced tea or lemonade. That's the picture your real estate agent would want to capture when listing your home for sale. Patios are appealing because they can create a sense of peace, open space, freedom, and they can seem to extend the square footage of livable space on those good weather days. Set out on your patio some simple but comfortable patio furniture when you're listing your home and you might find that prospective buyers take a seat and think about your home. Good! Let them soak in the energy of the home. The way it feels. The way it allows them to relax. Set some brochures out on a side table. Maybe even a good book. You'd be surprised what these buyers pick up. If they enjoy themselves while sitting on your patio, you're likely to have piqued their interest in your property. So, what if you have a backyard but no patio; is it worth investing in one? The answer depends on your financial situation but there's no doubt that having a patio or a deck - a space outdoors to relax - is a plus. However, here are a few tips about creating that patio space. If you have a small backyard, you don't necessarily want to take up the entire space with a concrete patio. The reason? Greenery is also appealing. Basically, you want to have the patio proportionally sized to your yard. So you don't want to have a huge yard and tiny patio nor the opposite. Your patio should be located close to an entryway to the home, typically the kitchen. This is so that if there is grilling or eating outside, people can easily access the kitchen as opposed to walking through some other room in the house first. Patios also should be located in areas where there is some level of privacy. A patio is most appealing when you can sit back, relax and enjoy a good meal, book, or conversation without feeling like you're being watched. So the backyard is usually the best location. Buyers often consider a well-built and maintained patio a plus and may create a higher selling price for your home. To cover or not? Often when homeowners put in patios, they question if adding a covering would help increase the value of their home. That really depends on many things such as if the covering is well built and maintained and if it's aesthetically pleasing, not blocking views, etc. 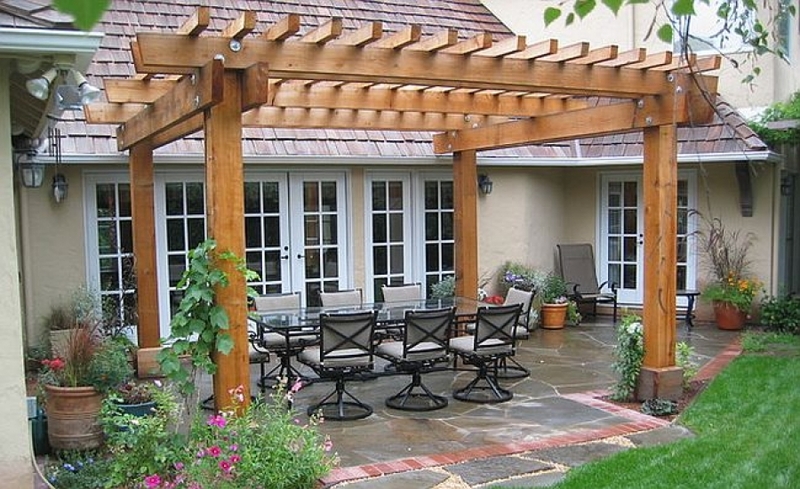 In the case where it's crafted and maintained well, the patio and its covering can increase the appeal of your home. That could translate to a higher selling price as well as a faster sale.